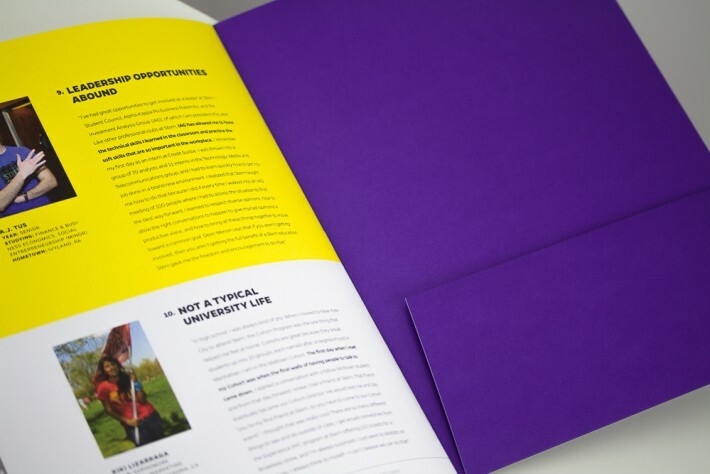 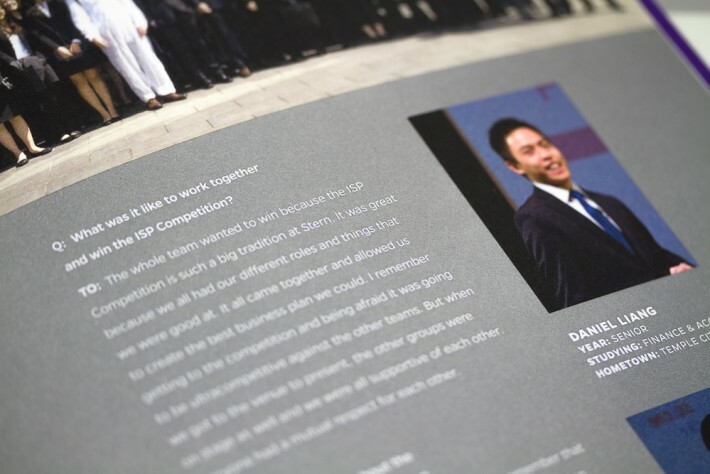 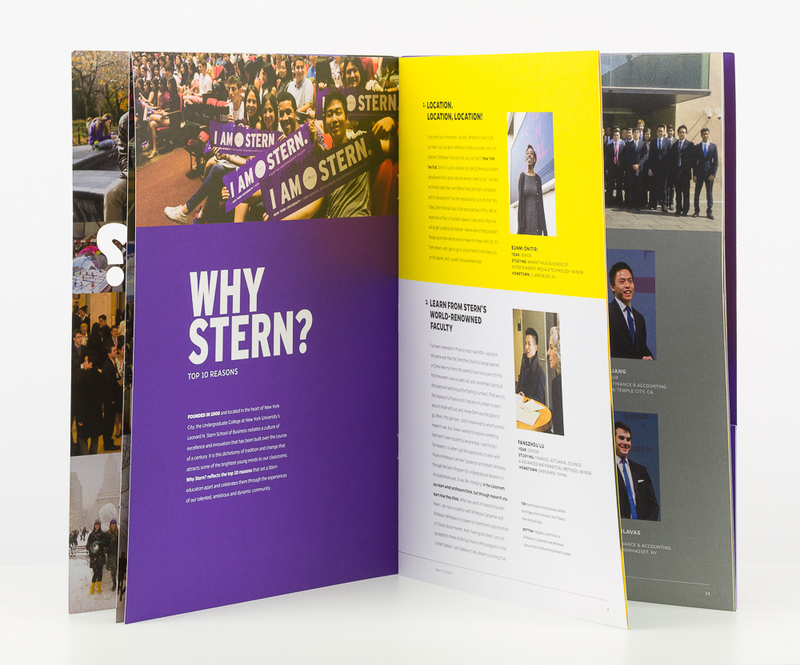 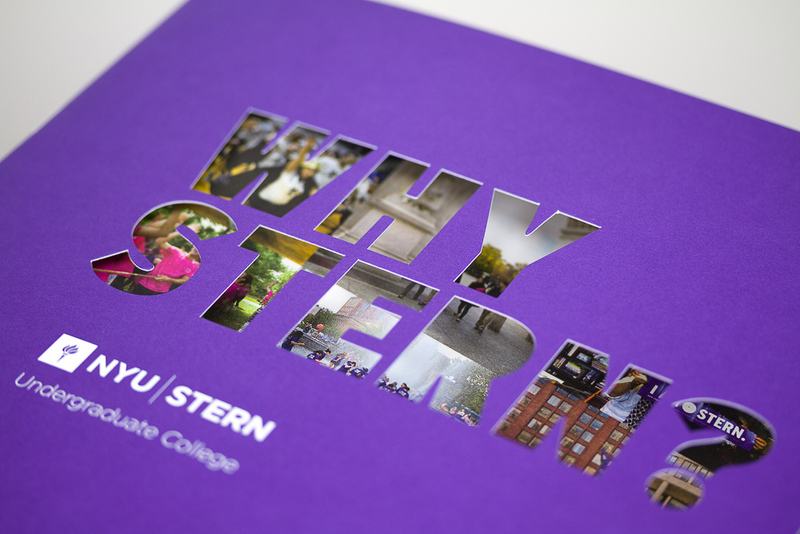 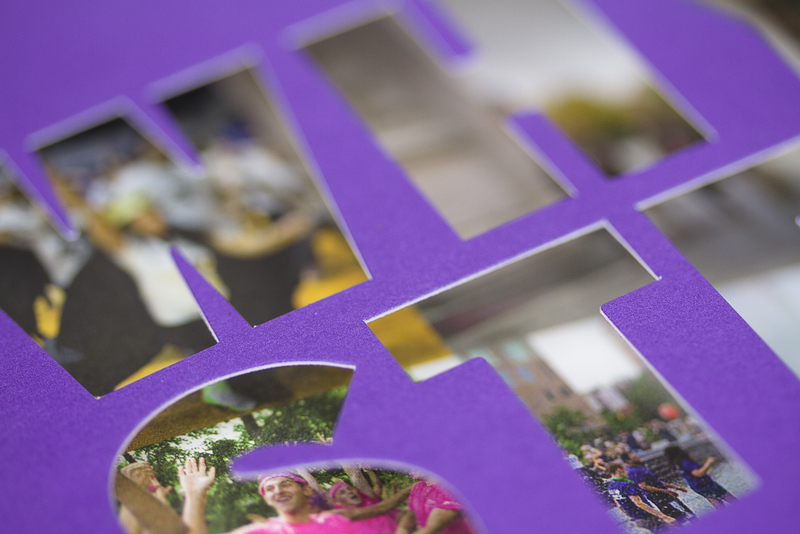 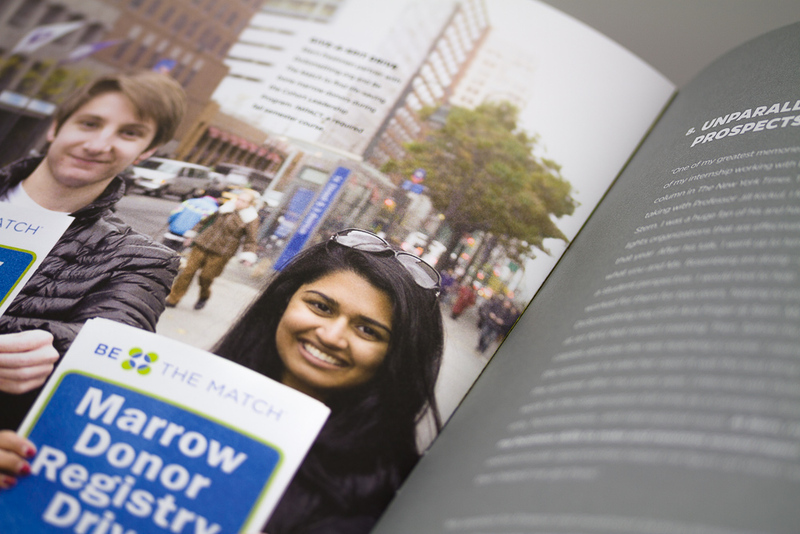 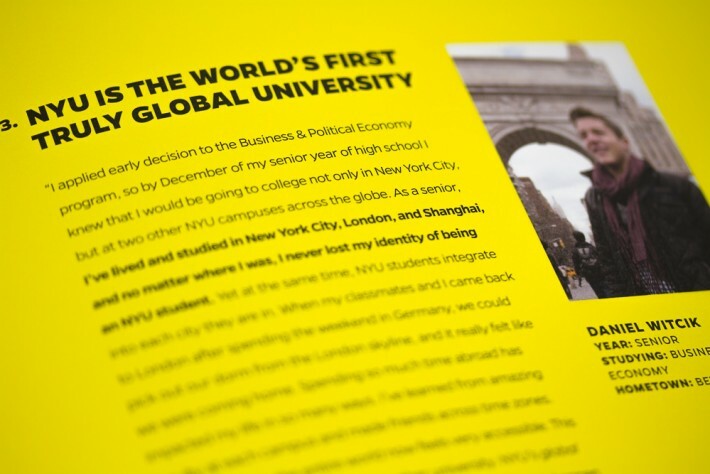 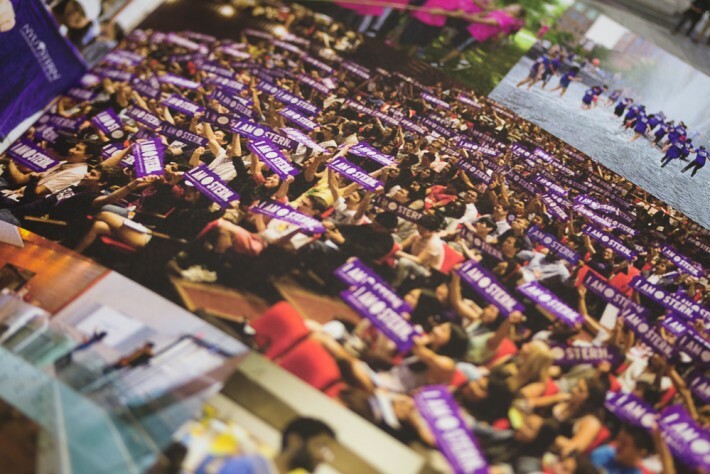 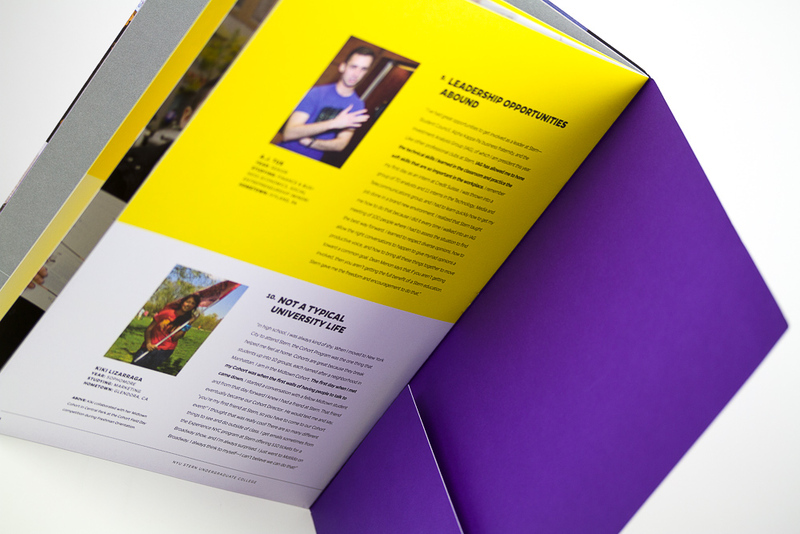 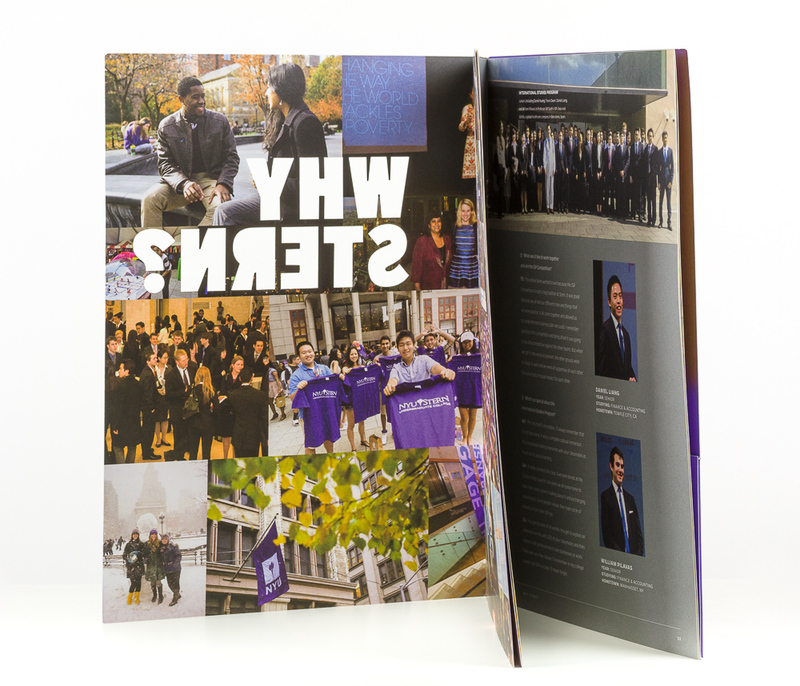 NYU Stern’s Undergraduate College sought a way to tailor their communications to diverse audiences with a printed booklet. We designed a highlight booklet with a die-cut portfolio pocket to allow NYU Stern to include additional printed information within a series of one-sheets, selected on-demand for the recipient. 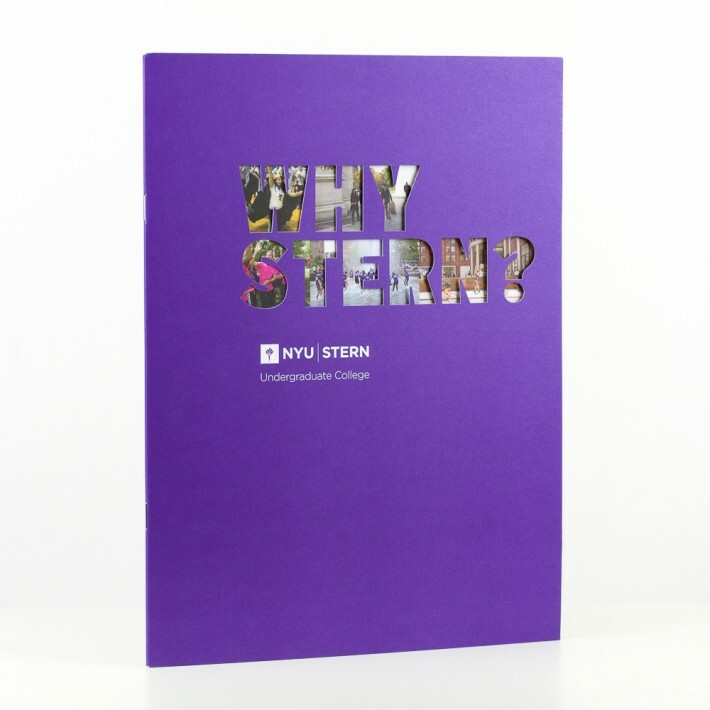 We designed the cover with a typographic die-cut “WHY STERN” slogan, peeking through to the photomontage that blankets the first interior spread.